Telling your story is more important than ever. The ability to share a compelling story that resonates with your audience will set you apart. And, in the heavily saturated information market, it’s critical that you manage your story well. What does your company value? What are its goals? The stories you develop for your employees, customers, media and other audiences should reflect who you are and what you value. Seriously, why is this story important? And, why now? If you don’t know the answers, no one else will. Telling your story doesn’t just stop at the actual stories you share. At every touch point you have with your audience, there’s an opportunity for them to make a connection with your Brand. From your web and social sites, to advertising, to designed materials – each piece supports your overall story. They help define who you are, what you’re about, and reinforce what you value. 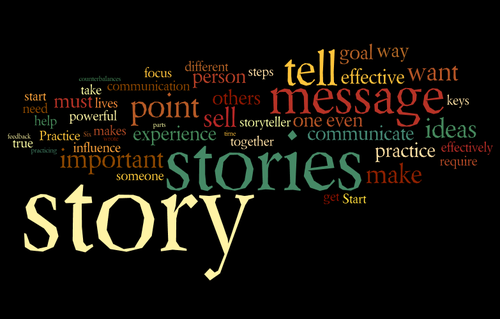 Telling and managing your story is essential to success. Remember, if you don’t tell it, someone else may tell it for you.